Megan Callahan is a senior, Magazine Journalism major at Syracuse University. With a passion for all things creative she aspires to tell the stories of those who promote good vibes. As current entertainment lead producer for The NewsHouse she manages a channel of everchanging media in the Syracuse area. 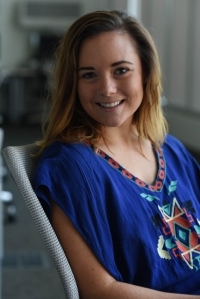 Recently, she worked as an editorial intern for SKI Magazine in Boulder, CO and covered a wide array of mountain culture and outdoor enthusiast stories. Megan is involved in several student organizations including the Club Triathlon Team, Global Ambassadors, and the Panhellenic community. As an outdoor enthusiast, artist, and wanderer, you can connect with her on Instagram or Twitter.